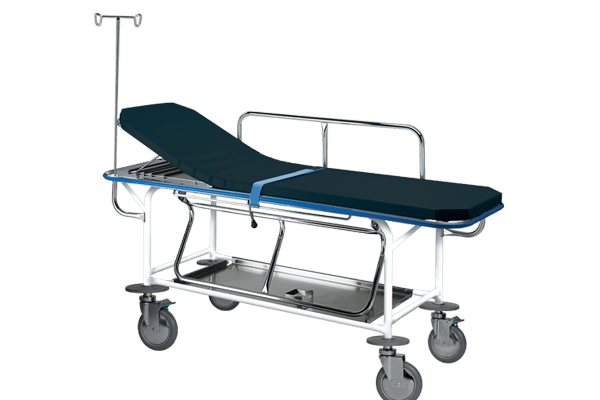 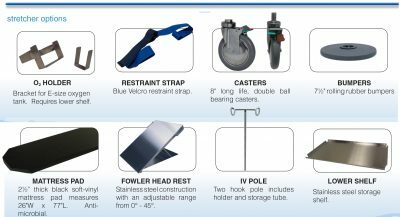 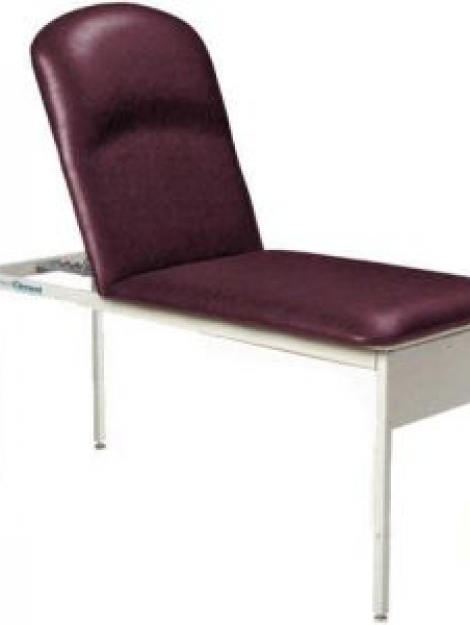 The P-172 Stretcher with complete accessory package includes: O2 Holder, Restraint Strap, Casters, Bumpers, Mattress Pad, Fowler Head Rest, IV Pole, and Lower Shelf. The P-170 Series general transport stretcher provides an economical patient transport solution. This non-hydraulic stretcher series features a 1 ³/8” heavy-gauge O.D. 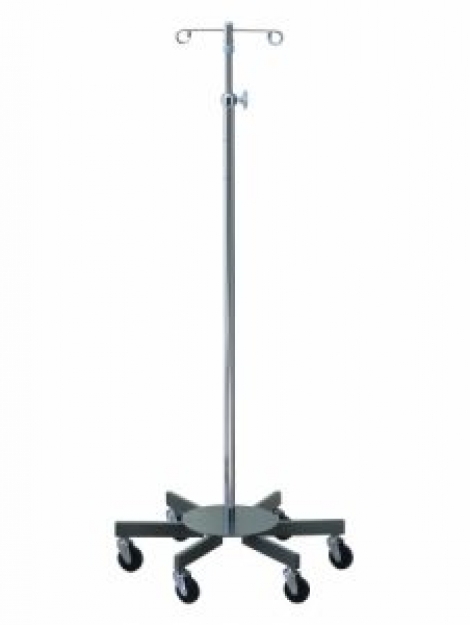 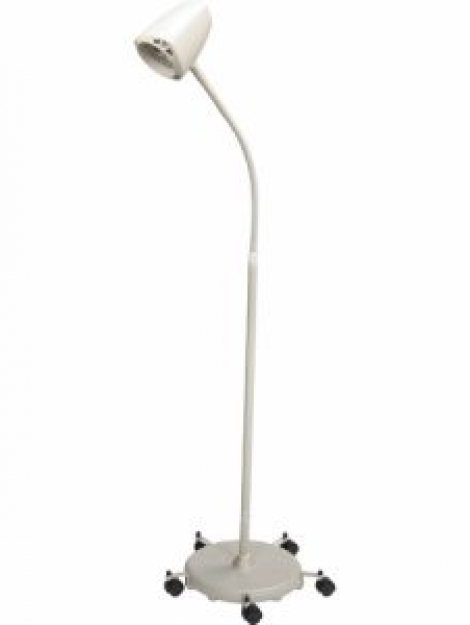 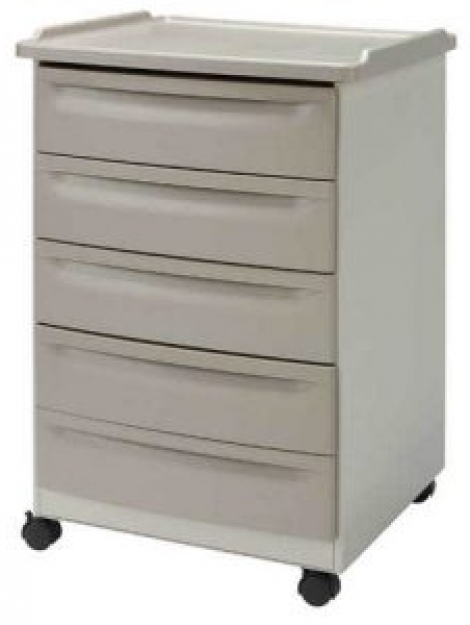 tubular frame, continuous rubber bumper, long-life, double ball bearing, 8” swivel casters for quiet movement, and convenient hand holds on each corner.